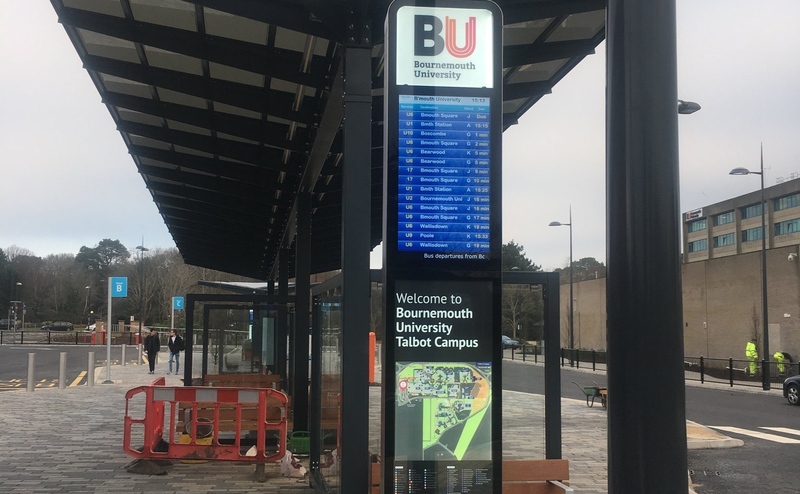 As part of a £5m infrastructure development for Bournemouth University, a new bus hub has been built to offer passengers a high quality, purpose-built facility for journeys to and from the Talbot campus. Together with Atkins architects, Able Canopies designed and erected two bespoke canopies, incorporating transparent photovoltaic glass technology into a practical and modern design. 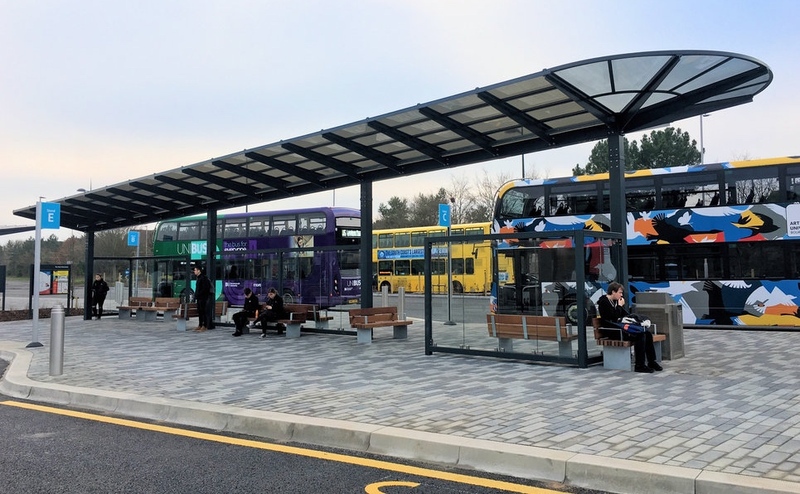 Bournemouth University was looking to build a large capacity bus hub, aimed at improving the quality of services and an enhanced sense of arrival, allowing for future growth in bus use. Mildren Construction was selected to deliver the project, and awarded the detailed design and build to Able Canopies. The canopies’ unique styling provides a strong aesthetic statement, with an incline from three metres in height in the middle of the hub to four metres at the ends. Bespoke rounded glass end panels were also fitted to each end of the hub to create a stylish finish. Having previously used the Kensington on installations where solar power was required, the Able Canopies team knew that solar integration would be possible. Another key consideration was how the solar panel cables were going to be concealed while still being easily accessible for maintenance. To achieve this, access panels were installed in the two support posts at the taller end of each canopy.